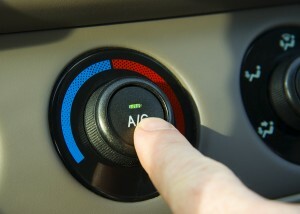 If your vehicle is too hot, bring it in to Performance Automotive and get cooled down! Performance Automotive‘s technicians keep your AC working in excellent condition with a regular performance check that looks for loose belts and any improper AC operation. Your technician will also perform a dye injection leak test to identify any leaks your AC unit may have, and if needed, evacuate and recharge your auto air conditioning system. Performance Automotive keeps you cool by taking the sweat out of keeping your auto air conditioning working at peak performance. Stop in today or make an appointment. Run the air conditioner once a week for ten to fifteen minutes – This will help keep gas pressures stable and help to keep the compressor working properly. Make sure when doing this that you set it to its’ highest speed and coldest temperature settings. Make use of your air conditioner in the winter – In addition to cooling your vehicle, one of the air conditioner’s primary functions is to remove humidity from the cabin. It works especially well when you need to remove fog from the windshield to improve visibility. Re-charge Every 2 Years – Top-off the cooling system with gas and lubricant. Get it Fully Serviced – Come on down every two years before the hottest months of the year begin. Keep up on the maintenance – If your car air conditioning system is not working efficiently, you could be using up to 10% more fuel than you need to.